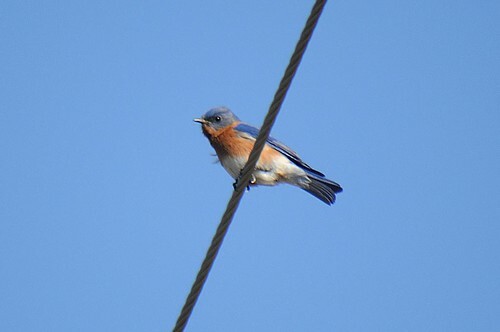 Highlight this weekend was a Eastern Bluebird flying around (CHECK). He was my first bluebird of the year!! I am up to 38 species for 2013 now. This entry was posted on 15 January 2013 by mon@rch. It was filed under iPhone . Stunning blue against the blue sky! Great shot love the colors in this little guy.